The Manawatū Catchment is home to numerous aquatic species including fish, insects, kakahi , worms and snails. 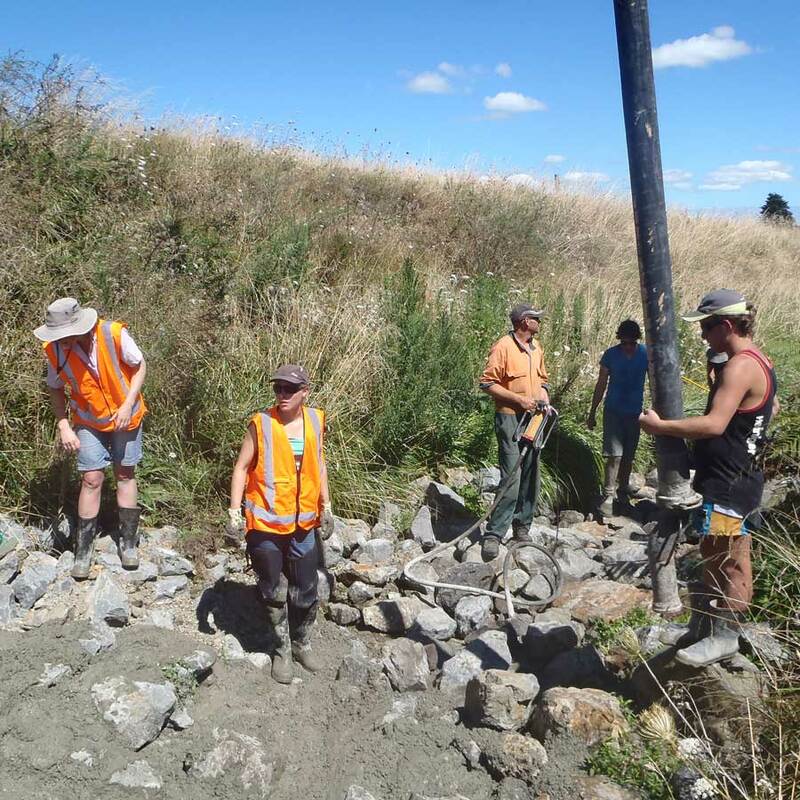 There has been a lot of work completed by the community and the Manawatū River Leaders’ Forum members to create healthy habitats and to help aquatic species thrive in our awa. Check out the See Progress Map to find out more about what’s been going on in your area. 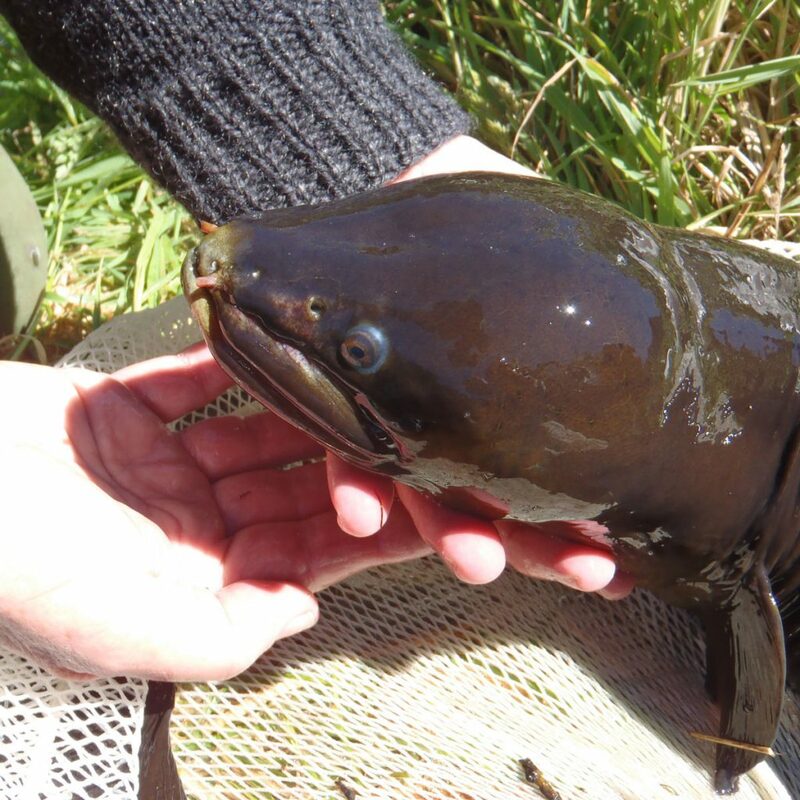 You can also find out more about aquatic life in the Manawatū Catchment below. 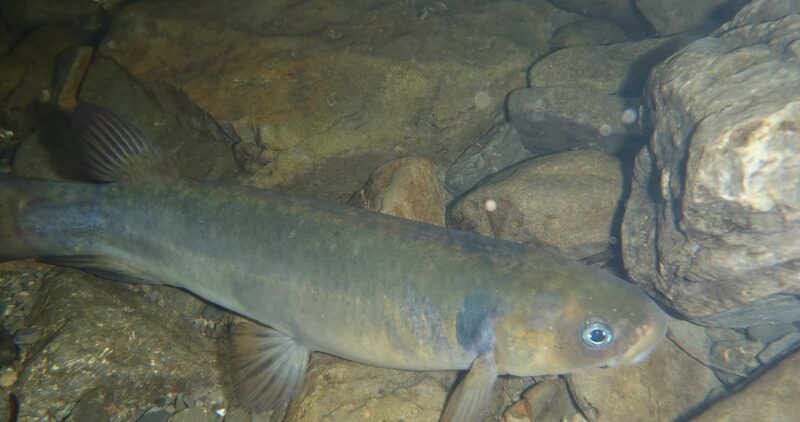 There are 23 species of fish in the Manawatū Catchment (both native and introduced), some of which are present in lower numbers than we would like. The loss of wetland and forest habitats, which once provided food, shade and shelter from predators. Increased nutrient levels leading to more algae in some areas, resulting in a decrease of available food sources and bigger fluctuations in dissolved oxygen concentrations. Recreational and commercial fishing has inevitably impacted some native fish, along with predation from introduced species, including trout. Barriers to fish passage, and disturbance of breeding locations. 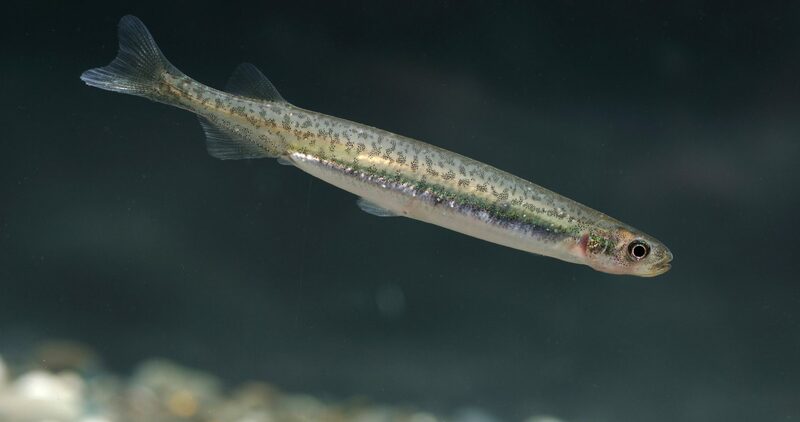 Many of our native fish species such as our longfin and shortfin eels (tuna), the whitebait family (Īnanga), and the less commonly known lamprey, are diadromous. A diadromous fish is one that needs to migrate between freshwater and the sea in order to complete its lifecycle. 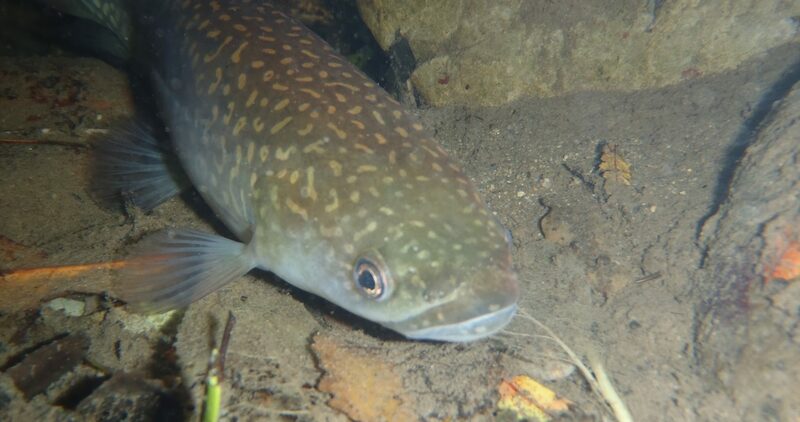 Every year these native fish travel between the rivers and streams in our region to the sea and estuaries. As so many of our native fish are migratory, the presence of barriers to fish passages, such as dams, weirs, or overhanging culverts, can have a significant impact on fish communities. Modification of waterways and removal of instream woody debris, while reducing flood risk, can also reduce fish habitat. Under the Accord many things are being done to mitigate these effects and help save our native fish. One of the tactics used to improve fish habitats is riparian planting. A huge effort has been made by Accord members and the community with at least 200,000 trees, that we know of, planted along stream margins in the catchment since 2011. Slow the flow of water down through culverts by placing baffles in the culvert. 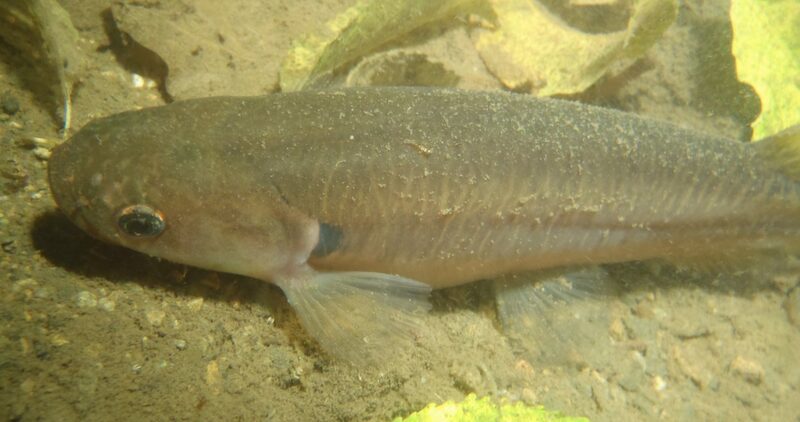 Baffles work by breaking up the flow of water and therefore creating slow areas that the fish can swim up, as well as places that they can hide behind. 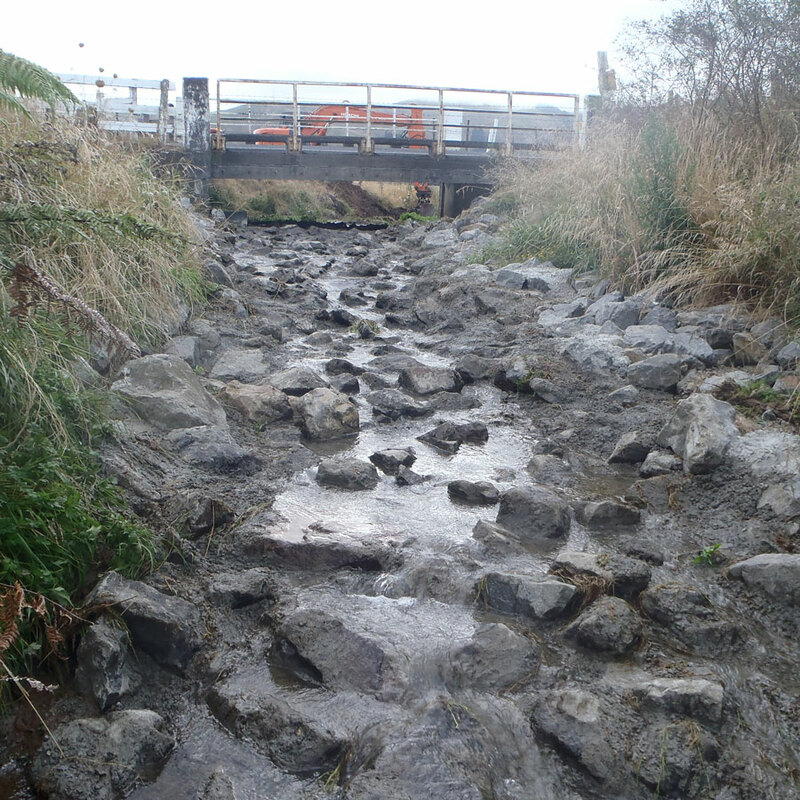 Installation of a rock fish pass onto the end of a perched culvert – which allows the fish to swim over the barrier. Installation of a fibreglass, stainless steel or floating ramp with an uneven surface which allows fish passage past the barrier. This method is most often used at the end of a perched culvert in small waterways with minimal debris where the floating ladders are useful in tidal areas. Replacing perched culverts to be level with the stream bed and therefore allow free movement of fish. 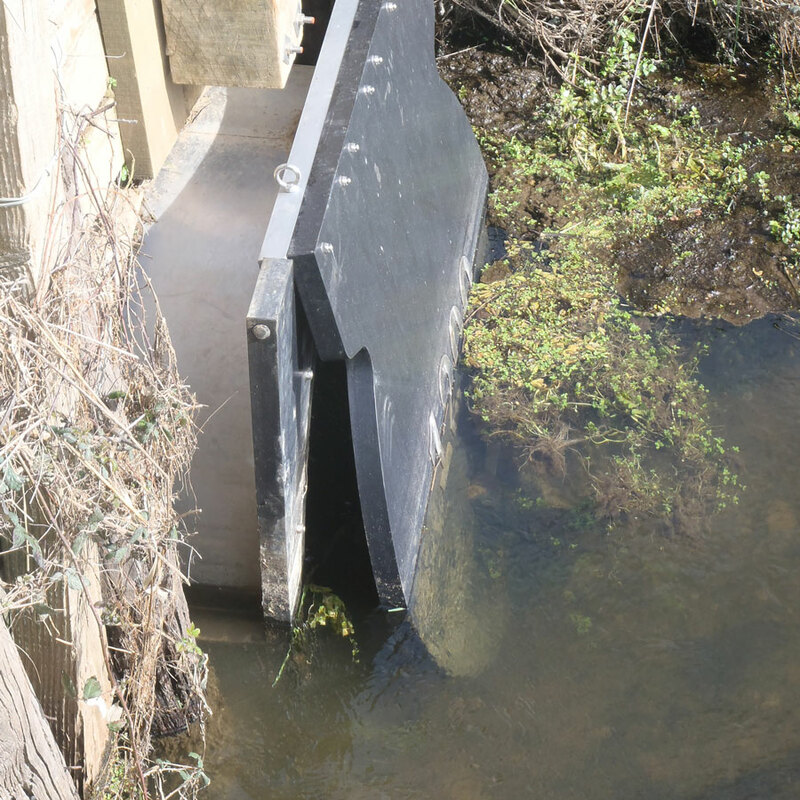 Installation of fish friendly flood gates, where the flap stays open for longer than the old design, allowing more fish to migrate. Modification of structures to be fish friendly. Installing material that can aide the passage of fish up stream. Sometimes rubber matting and spat rope (mussel rope). In some cases, complete removal of impediments such as weirs or old culverts is the simplest and most effective method of improving fish passage. 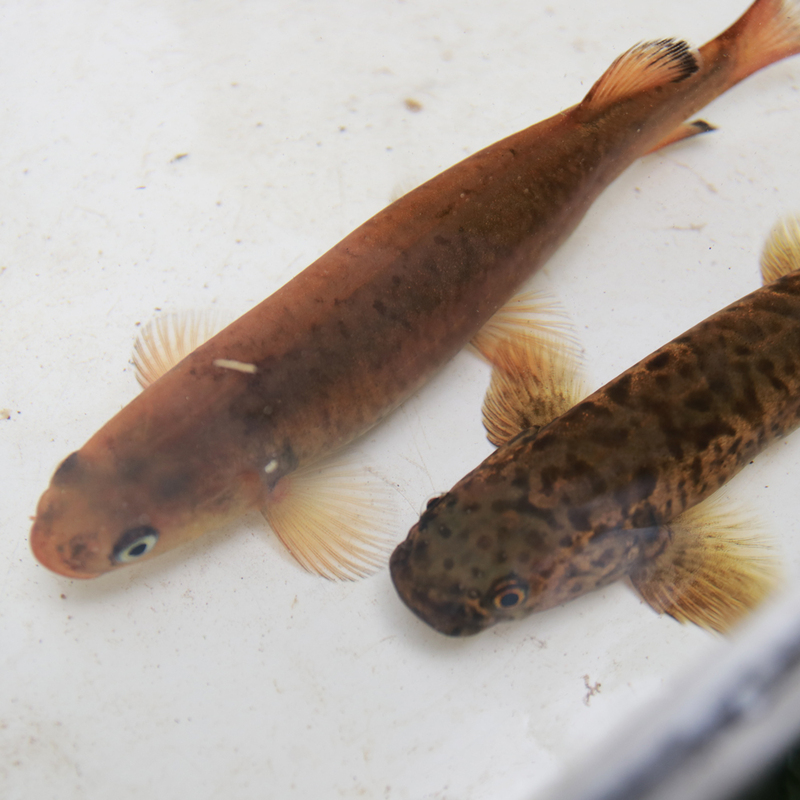 The discovery and restoration of fish spawning sites has been a key activity in the tidal zones of our rivers. This involves Accord members and volunteers getting out on their hands and knees to look for īnanga eggs between March and June each year during low tide. Once īnanga spawning sites are discovered work is done to enhance the surrounding habitat and protect it with fencing and weed control. 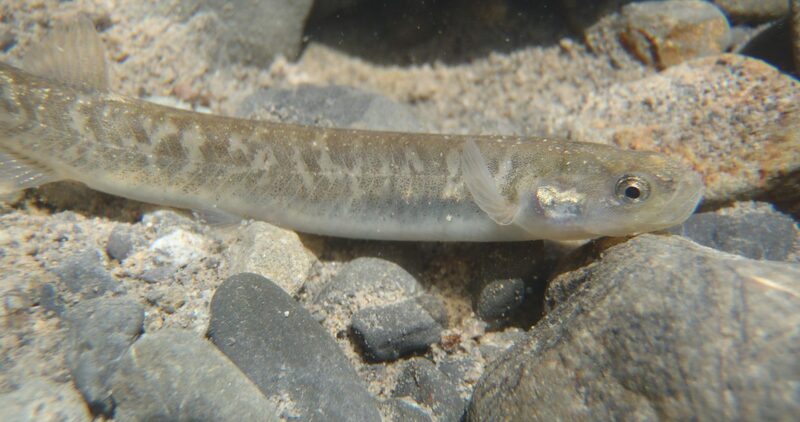 Did you know that whitebait are the juveniles of up to five native species including Inanga; Shortjaw Kokopu; Giant Kokopu; Banded Kokopu; and Koaro. Many of these species are under threat. Dissolved oxygen is a key component of water quality with critical effects on ecosystem health. Many aquatic organisms require oxygen above a specific threshold to survive. Horizons’ Regional Plan (the One Plan) currently specifies a minimum dissolved oxygen (DO) threshold criteria for each different management zone within the region. The aim of this study was to provide an assessment of the current dissolved oxygen criteria in the One Plan for the maintenance of native aquatic biota. These little critters, also known as benthic macroinvertebrates, don’t have back bones and live on or just below the stream bed. 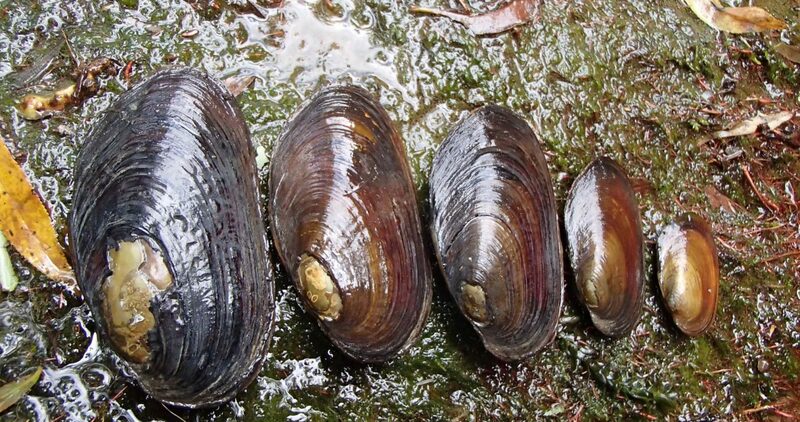 Snails, worms and crustaceans, along with a range of insect larvae play an essential role in a stream’s ecosystem by feeding on periphyton (algae), macrophytes (aquatic plants), dead leaves and wood. They are also an important food source for larger animals like wading birds and fish, as well as birds, bats and spiders who eat the insects the larvae grow into. Macroinvertebrates provide an important indicator of the health of our waterways. 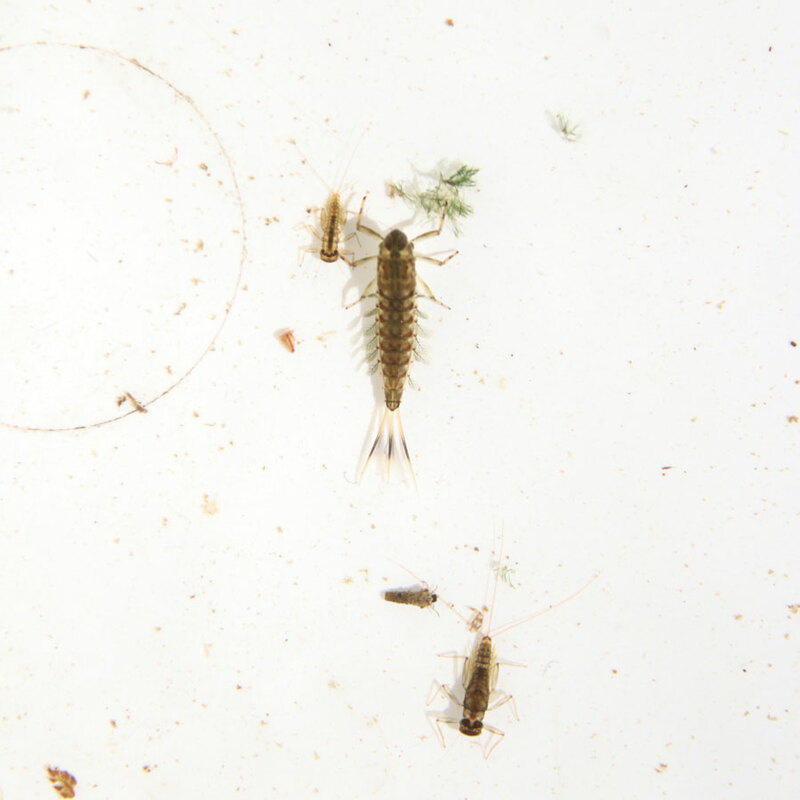 Some macroinvertebrates are more sensitive to changes in water quality than others, so by looking at the number and type of macroinvertebrates living in a stream or river we get an indication of the level of pollution. This is measured using the Macroinvertebrate Community Index (MCI). 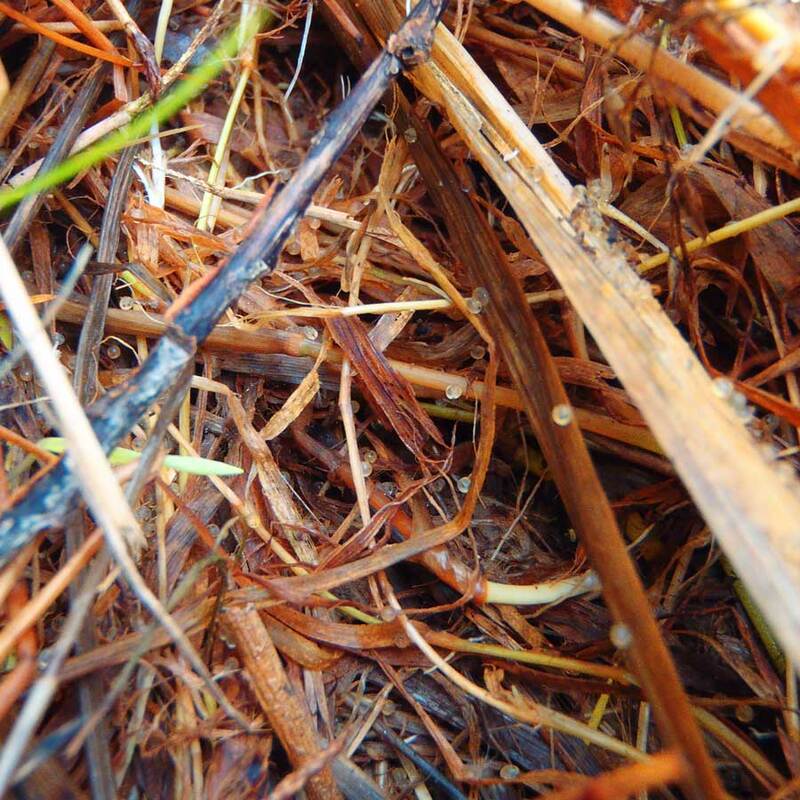 Each insect that inhabits our waterways has been assigned a score between 1 and 10 for its sensitivity to organic pollution and nutrient enrichment. Those with a score of 10 are very sensitive; those at the lower end of the scale are more tolerant. Find out more about the MCI in this video by the Cawthron Institute. Macroinvertebrates are measured by a number of organisations in the Manawatū Catchment, for different purposes such as research and consent monitoring. Horizons Regional Council undertakes annual surveys at 92 sites throughout the region, including 48 in the Manawatū Catchment. 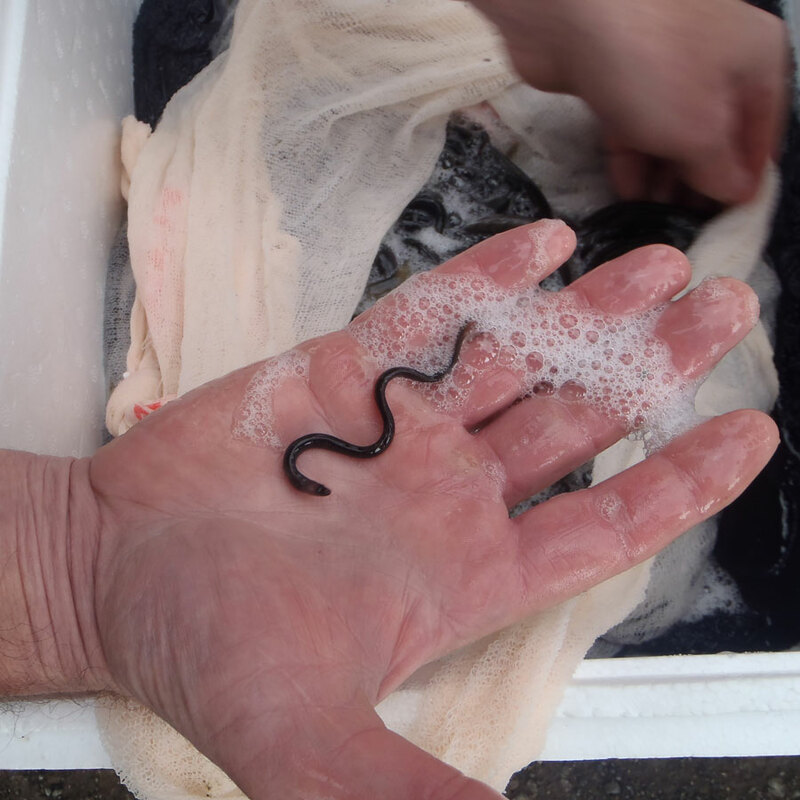 If you know a community group or school that wants to find out more about studying stream health and macroinvertebrates in the Manawatū Catchment, check out the citizen science project Waiora. Habitat for macroinvertebrates and other aquatic life is being improved by decreasing discharge of nutrients into waterways, increasing shading through planting to create habitat and lower water temperature, and reducing sediment discharge to waterways. This has been actioned through policy changes and wastewater treatment plant upgrades. As well as non-regulatory actions such as community planting days and the Sustainable Land Use Initiative (SLUI). Horizons Regional Council monitors macroinvertebrate communities across the Manawatū Catchment. The status and trends for these communities are available on the LAWA website.